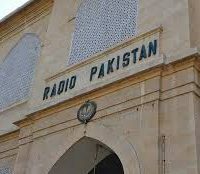 KHAIRPUR: Following the recent transfer of Radio Pakistan’s Khairpur station programme manager, two deputy controllers, a senior producer, a broadcast engineer and some 20 lower cadre staff have been transferred to other stations located far from their respective areas of residence like Loralai, Bhitshah, Islamabad and Larkana. The affected officials and employees said the arrangement seemed to be part of a plan to reduce the Khairpur station and FM-101 channel to a relaying station of Radio Pakistan’s Larkana station. Sources said that if the supposed plan was implemented, people of Khairpur would be able to listen to the Larkana station programmes alone whereas religious programmes were already transmitted from the Islamabad station. Hence, they said, the Khairpur station would not be able to air any of its programmes. They said a large number of broadcasters, comperes, voice-over actors, folk poets, singers and artists associated with the Khairpur station might lose their jobs. Around 130 professionals, broadcasters and artists are associated with the station.